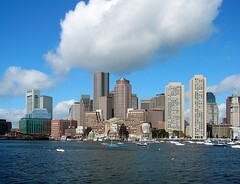 By American standards, Boston is old! From its celebrated symbols of patriotism to its undiscovered neighborhoods, the sights and sounds of the nation’s revolutionary birthplace inspire millions of visitors every year. 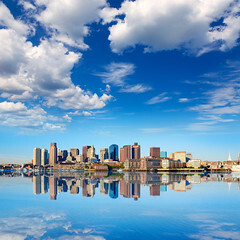 Packed with famous sights, free attractions, and an endless calendar of special events, Boston offers year-round inspiring experiences. You can walk cobbled streets lit by gas lamps and visit sites integral to the American Revolution. This is the city of Paul Revere, Sam Adams, John Hancock and Elizabeth “Mother” Goose. By day, see a re-enactment of the Boston Tea Party or a game by the Red Sox, and at night attend a concert by the Boston Symphony or the Pops. Retrace Revere’s ride to Concord and Lexington, or go to Salem to visit the House of Seven Gables and the Witch Museum. Have a memorable seafood dinner in historic Gloucester or Rockport on Cape Ann. Imagine your group performing at Quincy Marketplace, learning in a workshop at the New England Conservatory, Harvard, Berklee School of Music, or at Symphony Hall, participating in a service at historic Old North Church, playing pierside at the U.S.S. Constitution, or entertaining the lunch crowd at Copley Square. Perhaps your musicians would enjoy an impromptu recital at the John F. Kennedy Museum or on the Grand Staircase of the Massachusetts State House. The National Festival of the States can make these possible for your performing ensemble! Participating groups are chosen on the basis of recommendation from state and national music educators, governors’ and senators’ offices and by audition. Selected groups perform in prestigious venues with maximum audience potential. Our Boston trip was awesome. We had delightful weather, a terrific tour guide, excellent hotel, and great places to explore. We were thrilled with our clinic with Jonathan McPhee, the Music Director of the Boston Ballet – he was remarkable. Thank you again for all of your work on our behalf. The trip was excellent!